Short necklace adorned with tiny sequins a small heart pendant. Fastens with spring ring clasp and extender chain. 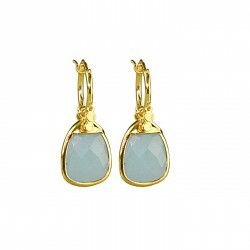 Material: 24 carat gold plated Sterling silver, faceted aqua Jade. Tax excluded - Shipping excl. 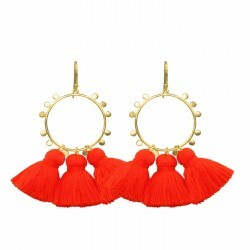 Sign up to keep you up to date with our latest Jewellery pieces and specials! CTRL / STRG / CMD + + - Zoom page in. CTRL / STRG / CMD + - - Zoom page out.